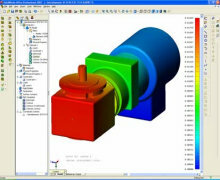 NEiFusion combines a FEM Modeler with comprehensive pre- and post-processing capabilities, and NASTRAN Solvers. Parts and assemblies can be analyzed for a wide spectrum of static, dynamic, and thermal loading. 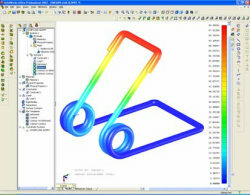 NEiFusion features true geometry associativity, composite elements, custom coordinate systems and nonlinear analyses for plasticity and true surface to surface contact. 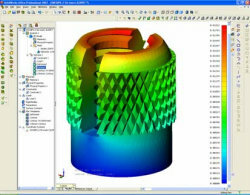 With NASTRAN being one of the most widely used solutions, NEiFusion users can now communicate their data to most standard pre- and post-processors through support of the NASTRAN file format. 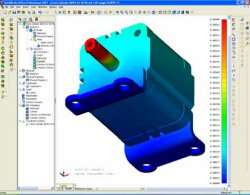 This provides versatility to a product which is already easy to use and backed by the renowned NASTRAN solution. Support of seamless integrated third-party bi-directional file translators, e. g. for CATIA®, Pro/ENGINEER®, etc.